That day has indeed arrived for Max Bemis of indie rock outfit Say Anything – with said day being the launch of Rory Records, an imprint label within Equal Vision Records, and the signing of Tampa, FL-based quartet Tallhart. 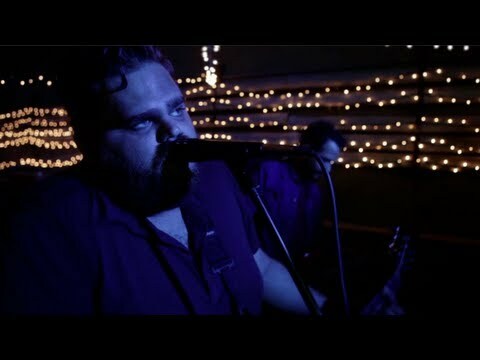 In their three year tenure together, the band has already built up a solid local fan base and has quickly been gaining more widespread recognition, including praise and support from notable bands such as Anberlin, Underoath, Eisley and of course the aforementioned Say Anything. Bemis, whose band Say Anything is also signed to Equal Vision Records, will work closely with Tallhart, in developing the band and releasing their forthcoming music. Guitarist Chris Brickman, drummer Reed Murray and bassist Glenn Espinoza collectively create a perfectly balanced musical framework that showcases Segallos’ potent mix of lyrical musings on the light and dark sides of life, love, and spirituality – all delivered through his distinctly soulful, and subtly southern, croons. Through rich guitar tones and pure lyrical eloquence, one can simply feel the sincerity and depth of the band’s emotionally charged music. Tallhart will release their Equal Vision Records/Rory Records debut EP, in Spring ’12. The album was recorded in Tampa, FL with Bemis, Tim McTague (of Underoath), and Dean Tidey (of Feeder) serving as producers. Leading the EP will be the track “Fever (Sister Of Mine)”, which will be released on March 6th as a digital single. This album will be the follow-up to two previous selfreleases, The Blue and Grey EP (2010) and their full-length album, Sister Of Mine (2011), both of which were put out under the name Marksmen. The band was named one of Tampa’s “2011 Ultimate Local Artists” by the Tampa Bay Tribune/ St. Pete Times and has shared stages with the diverse likes of Anberlin, Underoath, Panic! At The Disco, Paper Tongues, Rooney, AWOLNATION and more. With their forthcoming EP, new label backing and Bemis’ guidance, Tallhart will be hitting the road this Spring, starting with a short run supporting Equal Vision Records’ Eisley, followed by an opening slot on the Say Anarchy Tour – Say Anything’s upcoming headliner.